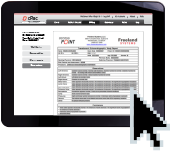 The cPac and cPac Pro™ reporting engine is powerful and customizable so that your reporting can be fast and accurate. 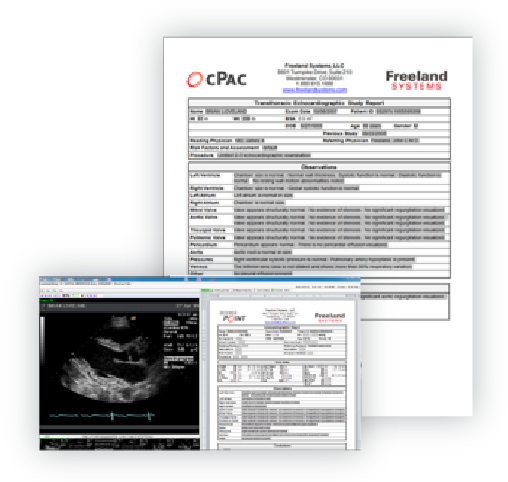 This suite of reporting tools, combined with robust exporting options, makes Freeland Systems the perfect tool for interfacing in today’s EMR/EHR environments. Measurements are automatically populated into a new report saving your team costly time by not requiring manual data entry. Also, instead of typing repetitive phrases over and over, cPac provides an intuitive drop-down phrase system. Provide rapid, coded entry of commonly used phrases. Completely customizable, drop-down phrases ensure fast, consistent data entry while allowing full edit capabilities. Automatically populates demographics and measurements into the templates quickly, efficiently, and error free. Automatically selects phrases based on user defined clinical parameters to increase efficiency and to minimize, or completely eliminate, transcription costs. Reporting utilizes the identical interface whether you are preparing a report at the office or from home. cPac Pro products function effectively in a dual monitor environment with studies displayed on one monitor and reports on another. Finalizes, electronically signs, and publishes a report to an EMR system with a single click for increased diagnostic utility.